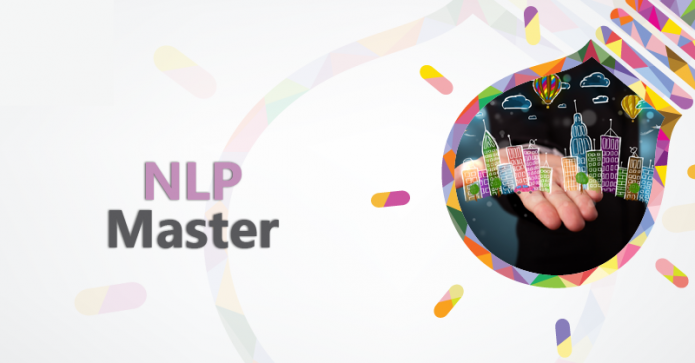 Master NLP is 18 day long training program dedicated to the development of the skills needed to enable the use of the NLP tools when collaborating with other people. The condition for participation in this training is completed NLP Practitioner training in the duration of minimum of 130 hours. The focus of this training is on the simultaneous use of several NLP tools in the process of modeling excellence. Participants will have the opportunity to create and develop new NLP tools, to push their own limits, to go a step beyond the bounds set during the NLP Practitioner training. The duration of training is 18 training days or 130 hours. Through a systematic approach, training guides you to unconscious competence in the integration and development of skills and techniques learned during the NLP Practitioner training. Knowledge and skills acquired in this training can be used to strengthen the entrepreneurial capacity, enrichment of your portfolio of management skills, as well as for personal development. During the training you will learn how to develop your own potential and potential of the people you work with and how to deepen and strengthen the connection between thoughts, emotions and physiology in a systematic way. Advanced linguistic forms, which are processed during this training, will enable you to fully develop your communication flexibility, effectively inspire your employees and have maximum influence on the people you communicate with. This training is for people who want to master the most effective tools of change and completely free their creative potential. During the first module of NLP Master training we are talking about advanced metamodel patterns. At the training you will learn how the metamodel was created and you will master Fritz Perls’ linguistic patterns. During this module we will also go over Satir categories, model of change developed by Virginia Satir, and you will find out what are the basic freedoms that Virginia Satir promoted. The last topic of the first module is the integration of the internal team, one of the most effective NLP techniques that helps us to reconcile and integrate opposing roles in specific projects (eg. the role of a parent may be in conflict with the role of an entrepreneur when going on holiday). The second module of NLP Master training brings us to advanced linguistic patterns of Milton Erickson. In this module you will learn additional patterns of Milton model and will further improve the application of the patterns that you have learned during the NLP Practitioner training. The topics covered in this module are the application of metaphor in order to influence and the application of the so-called “nested loop”. In addition to these topics during the second module of the training you will learn NLP techniques Six Step Reframing, The Swish and Hero Journey. In the third module of NLP Master training we are dealing with the nature of belief and the different ways that the interlocutor’s beliefs can be called into question. During this module you will learn how to connect the belief with the facts that support it and how to question the relationship between these facts and beliefs. The techniques that we cover in this module are: The Work and Decartes’ system. The last topic we are covering in this module is linking changes in behavior with values in order to achieve long-term change. The fourth module of NLP Master training brings us to the story of the modeling. In this module you will learn how to explicitly and implicitly model. NLP models such as TOTE, SCORE, NLN and others will help you to successfully realize your modeling project. 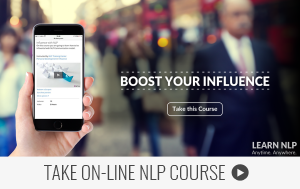 At the level of the master application of NLP it’s important to support NLP skills with additional psychological models that will allow you to better understand and effectively apply NLP techniques. For this purpose, you will have the opportunity to learn the PCM model that deals with the structure of personality. All participants will pass entrance assessment that will give them a clear picture of their personal profile. During the training you will learn how to recognize the different personality types and how to use this knowledge for the purpose of modeling, influencing others or creating personal change. In addition, you will have the opportunity to understand the depth and importance of Satir categories which are directly related to the PCM model. The sixth module of our training deals with Sleight of Mouth linguistic patterns. This set of linguistic patterns developed by Robert Diltz is likely the most advanced model of conversational influencing, along with Milton’s model. Mastering this model will make you a credible communicator who has the answer in every situation. You will select the field of application of these patterns yourselves. The last training module deals with values. During this module you will learn to elicitate values, to set a hierarchy of values and to recognize criteria of each value. This module covers the personal, professional and values within the organization. The last two NLP techniques that we cover in during the NLP Master training are Integration of parts and Integrative NLP model.